Signed l.r. corner, black oil "R de Maistre" [very faint]. Not dated. Patrick White: A life by David Marr , Milsons Point, 1991, 196, 470, 520. Roy de Maistre: A retrospective exhibition of paintings and drawings from 1917-1960 , London, 1960, 13. probably cat.no. 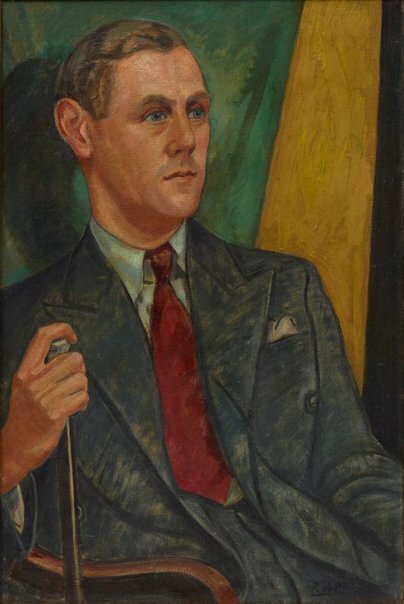 52; titled: 'Portrait of Patrick White'; dated: 1940; 30 x 20 inches; Coll: Patrick White, Esq.